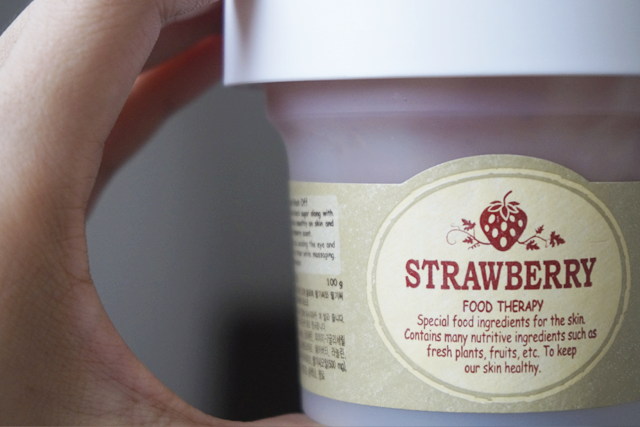 I have been enjoying a couple of Skinfood products recently, one of which is the Skinfood's Black Sugar Strawberry Wash-off Mask. I got my tub from Sunnaz because it was on a sale (Just $9.90! ), but my love for Skinfood scrubs stretches way back to 2010 (Read my ancient reviews here.). 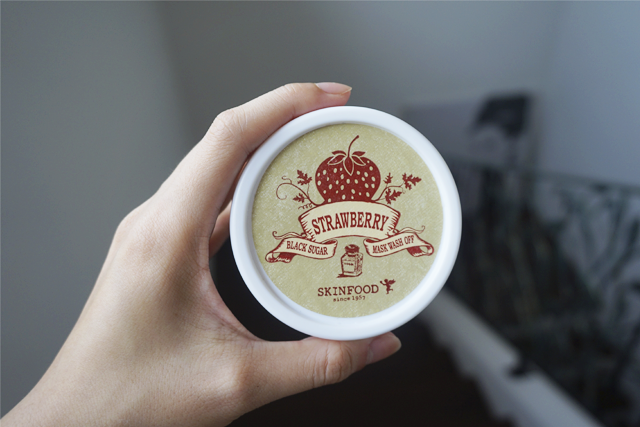 Skinfood's Black Sugar Strawberry Wash-off Mask is a facial scrub that's made from mineral-rich Brazilian black sugar, strawberry seeds and strawberry seed oil. So it's not surprising that it smells so much like strawberry jam! I always feel a little hungry after using it. Heh. Anyway, I apply this in circular motions after cleansing and drying my face a little, concentrating on my nose and inner cheeks.